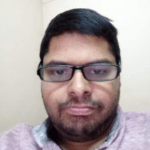 Here's the list of top 5 coins that you should look forward to in 2019. They have relatively stronger fundamentals and have gained a widespread acceptance. 2018 wasn’t an encouraging year for crypto fanboys and traders looking for a bullish reversal. The good news, however, is that some coins have shown strong signs of adoption, technical advancements, and growing acceptance worldwide. While they are not immune to the bearish market pressures on price, they have emerged as the saving glory of the crypto industry. 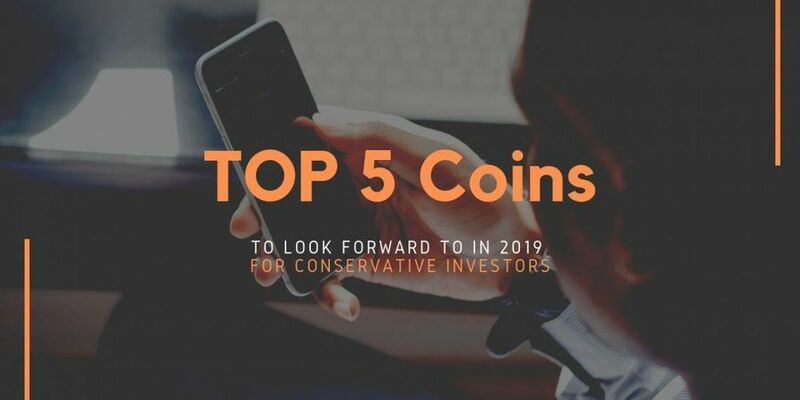 Below, we will list the top 5 coins that you should look forward to in 2019. They have relatively stronger fundamentals, have gained widespread acceptance and are held in high regard in the crypto community and beyond. The coins are easier to buy, maintain relatively better liquidity and are also being used for their intended purposes. The oldest and largest digital currency in the world has become the flagbearer of the crypto revolution. Bitcoin is the most widely accepted digital coins in exchanges and Bitcoin ATMs alike. On February 13, its daily transaction volume hit $2.68 billion, which was higher than both Ethereum and XRP. The Bitcoin daily transaction count on the network is also increasing steadily despite falling prices. BTC also has a thriving community. Bitcoin price forecast doesn’t show a good picture for traders, at least in the next one year. However, increased adoption at different merchant outlets could help them spend their coins. Several crypto lending services allow users to get cash for their coins so they could sell at the right time. More on top, you can also read our article about 12 intelectuals predicting bitcoin price in 2019. Ripple has had its fair share of controversies, especially related to the centralization of the coin as well as the distinction between Ripple, the company and Ripple the currency. The San Francisco based Ripple used XRP as the name for the second largest digital currency in the world. Ripple provides a suite of blockchain based payment services aimed at institutions. It aims to become the SWIFT (Belgium based international interbank messaging service) of cryptocurrencies and already has over 200 clients and numerous international remittance channels. XRP price forecast is dim like other digital currencies. However, its transaction counts have remained steady. The daily transaction volume on Feb 1 was $74.66 million, only a fraction of Bitcoin but that too has remained relatively steady. The third largest digital currency and the harbinger of smart contracts and token economies, Ethereum has faced scaling problems. The dApps deployed on Ethereum are being left behind by those on EOS and Tron networks. The currency could have received a boost with Constantinople upgrade, but that too has been delayed. Despite its scalability woes, Ethereum is a strong network and boasts of a large number of developers. 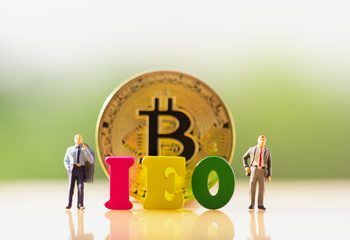 The network’s transaction volume was just $31 million on February 13, and its transaction counts remained significantly higher than Bitcoin between October 2018 and January 2019. The Constantinople upgrade is expected to be one of the biggest events in crypto markets. Ethereum should be in your radar this year. Stellar Lumens is a payments network like Ripple’s blockchain solution. However, it is designed for the retail/individual customer rather than institutions. The network is designed to facilitate easy, seamless and hassle-free cross border payments available to users at a lower price. Stellar goes for its proprietary Stellar Consensus Protocol instead of Proof of Work algorithms which makes it lighter on power consumption as well. The network’s transaction counts have increased steadily in the past one and a half years. At its peak, in mid-November 2018, XLM’s transaction volume was over $514 million, about 25% of Bitcoin’s $1.97 billion. XLM is also one of the two cryptocurrencies on our list which is showing signs of a good investment right now. Its price is expected to appreciate by the end of the year. Binance is one of the largest crypto exchanges in the world, and Binance Coin enjoys the privilege of being a part of a large ecosystem that connects it to thousands, if not millions, of cryptocurrency investors around the globe. Its market capitalization is the 10th largest in the world, showing strong promise that the coin will become more accepted as Binance grows. BNB’s transaction volume is only a small fraction of Bitcoin’s. At its height, its transaction volume went up to $629+ million. The price of the coin and its volumes are affected because of the crypto winter, but BNB remains a strong candidate in our list because it could be used extensively on Binance. BNB too has good prospects of price gain in the next 1 to 5 months, and it is expected to end the year on a relatively good note (compared to today). As the crypto markets are going through testing times, it will be worthwhile to stick to coins that have strong development teams, clear goals, and strong community support.